The microbe count was always lowest on the rubber surface. 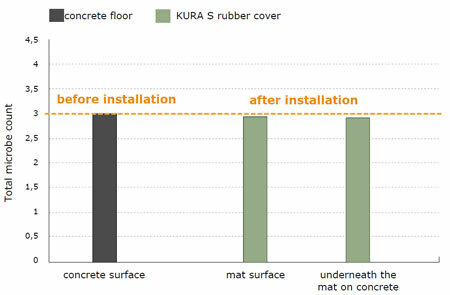 The soiling underneath the mat had no effect on mat hygiene. Microbial stress increases and decreases seasonally. 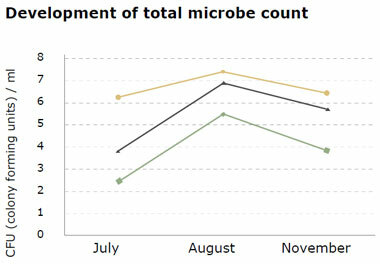 An important aspect: the lowest microbe counts are always on the mat surface.